We encourage our customers to join the Label Restock Program (LRP), a free service that saves you money with a lower price, and ensures you never run out of labels. The program will count the labels as they are printed and notifies us when you are ready for your next shipment. You can choose the minimum trigger quantity and order quantity, and you always have 48 hours to decline your next shipment. 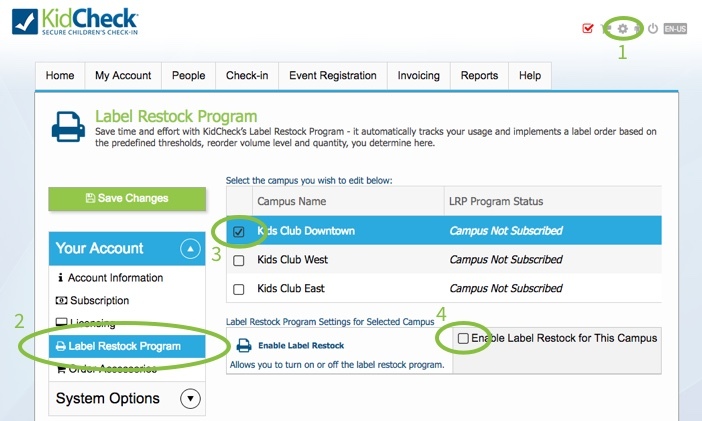 To enroll, check the Enable Label Restock box, fill out the necessary information (including credit card number), and click Save. The Subscription tab (also in the System Settings > Your Account area) can be used to update your credit card information and receipt email address at any time.